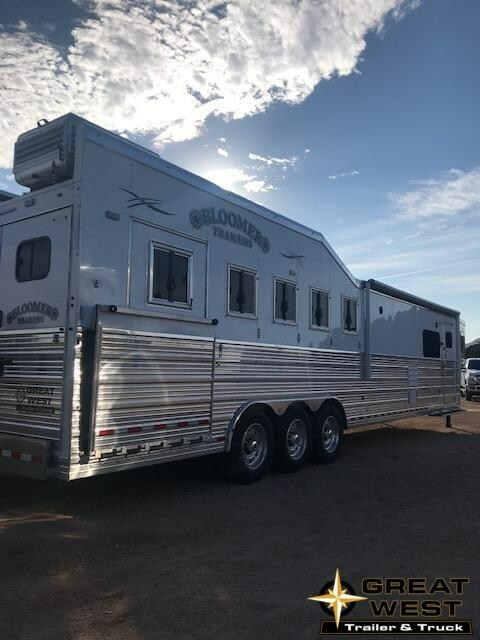 2019 Bloomer 15'6" short wall 4H slide out PC load Trailer. 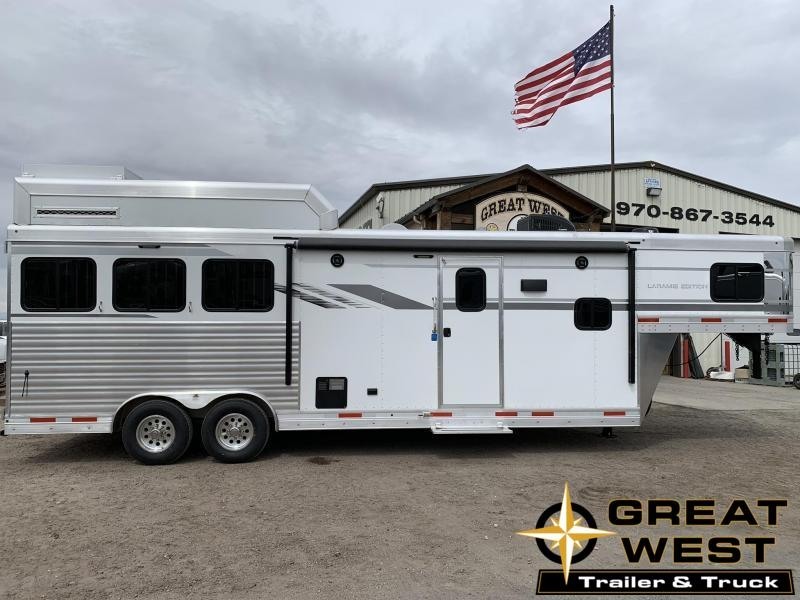 This trailer has great options and has a fantastic use of space. 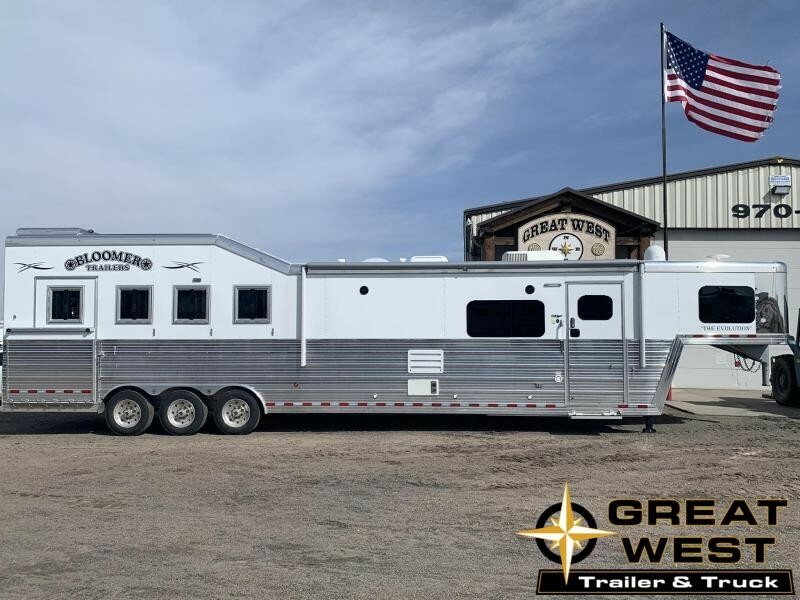 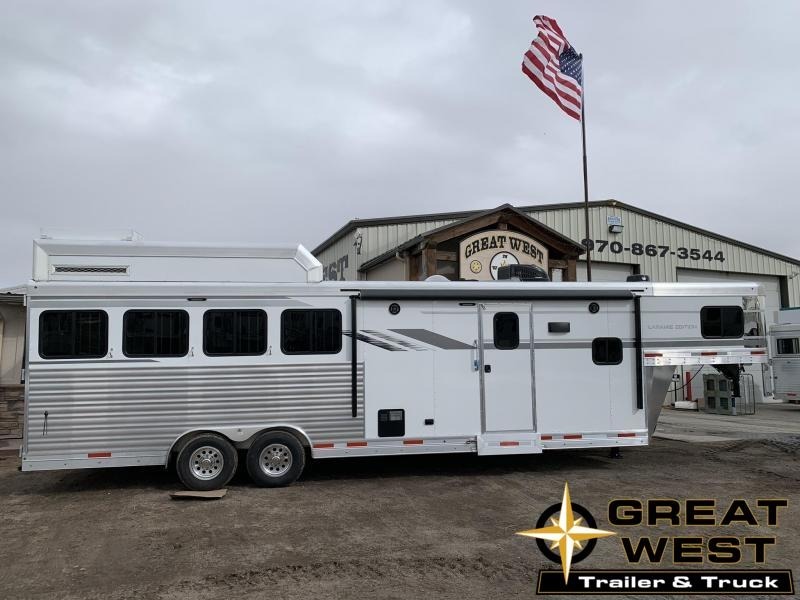 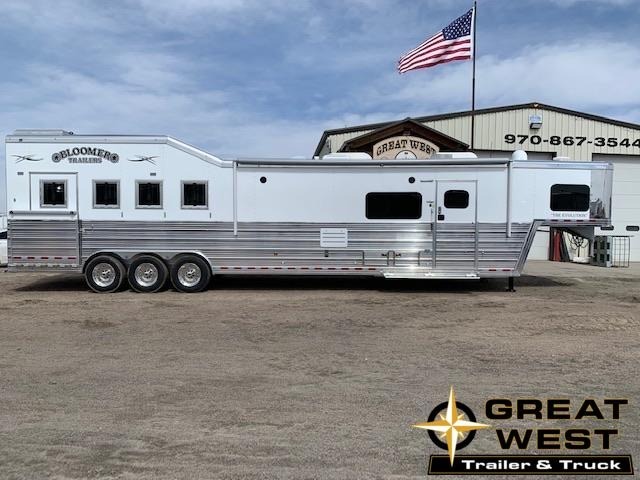 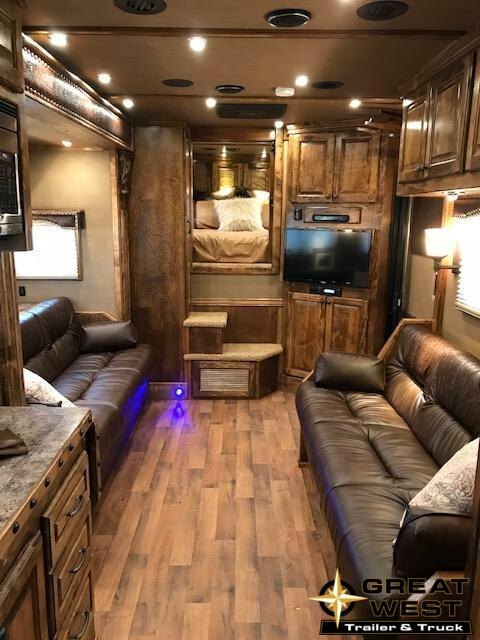 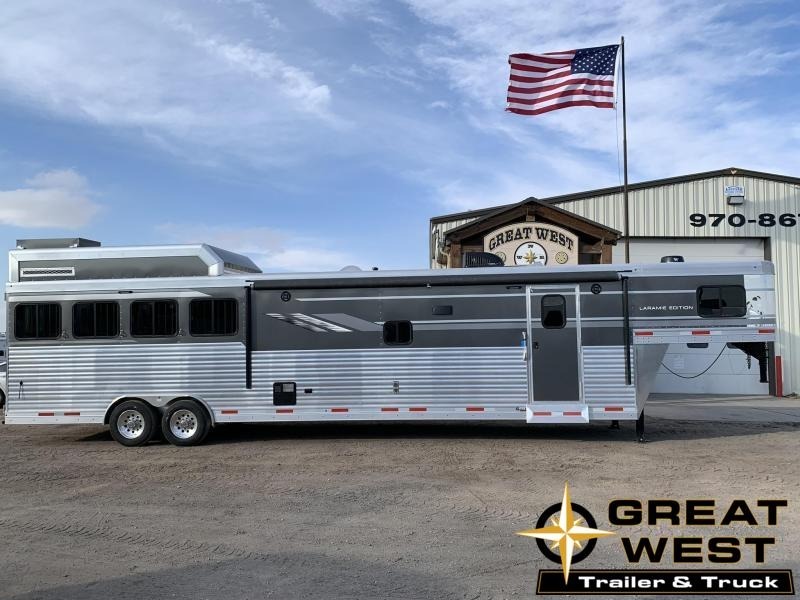 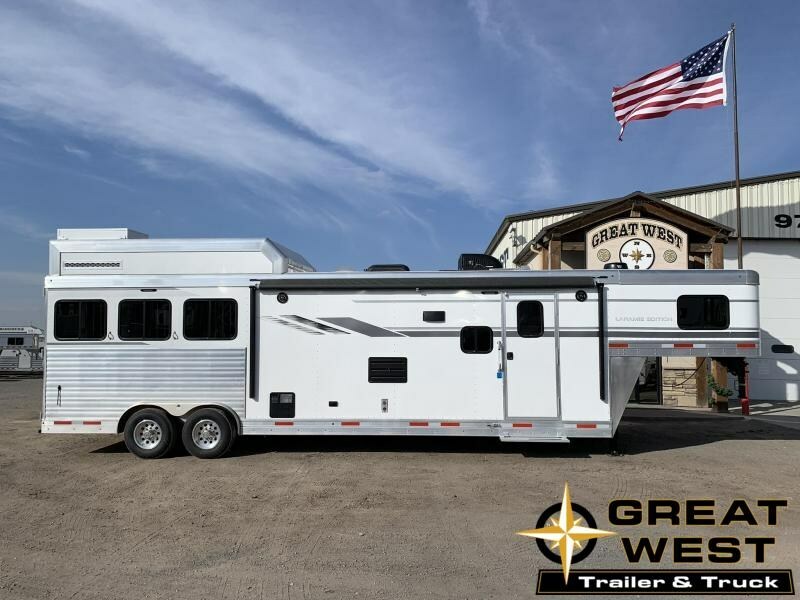 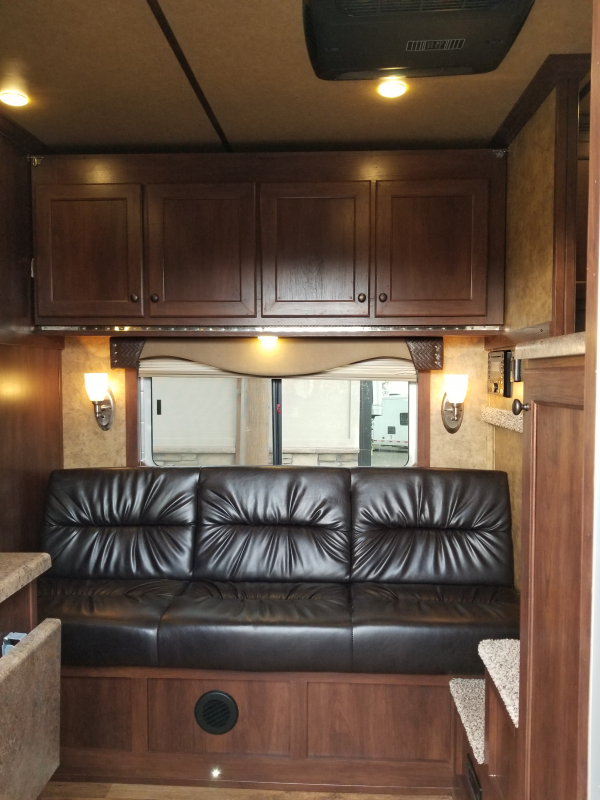 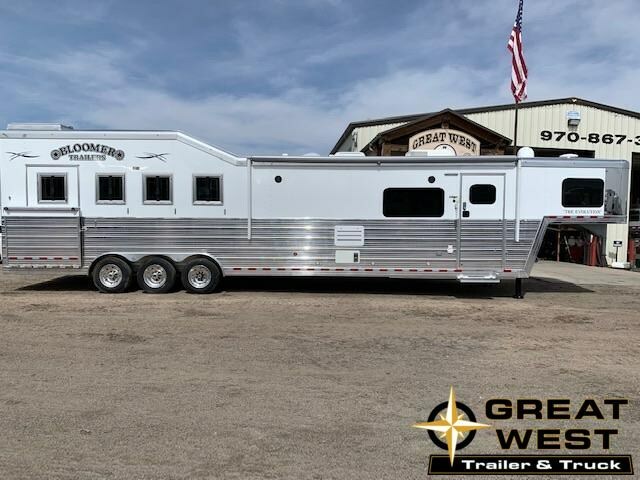 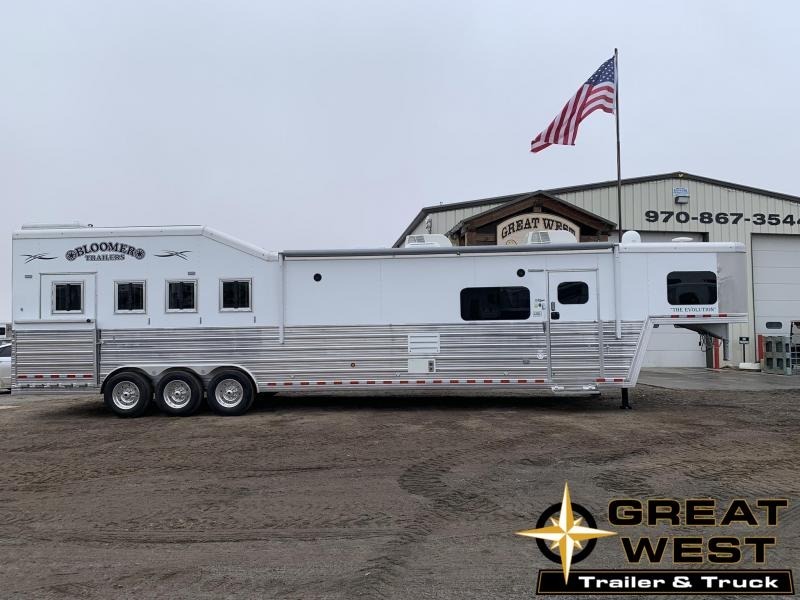 NEW ARRIVAL 2019 BLOOMER 4 HORSE 15'9" LIVING QUARTERS -OUTLAW CONVERSION -COUCH/DINETTE -SLIDE OUT -TONS OF STORAGE - PC LOAD -HYDRAULIC JACKS CALL OR STOP IN AND VISIT WITH OUR SALES STAFF TODAY!! 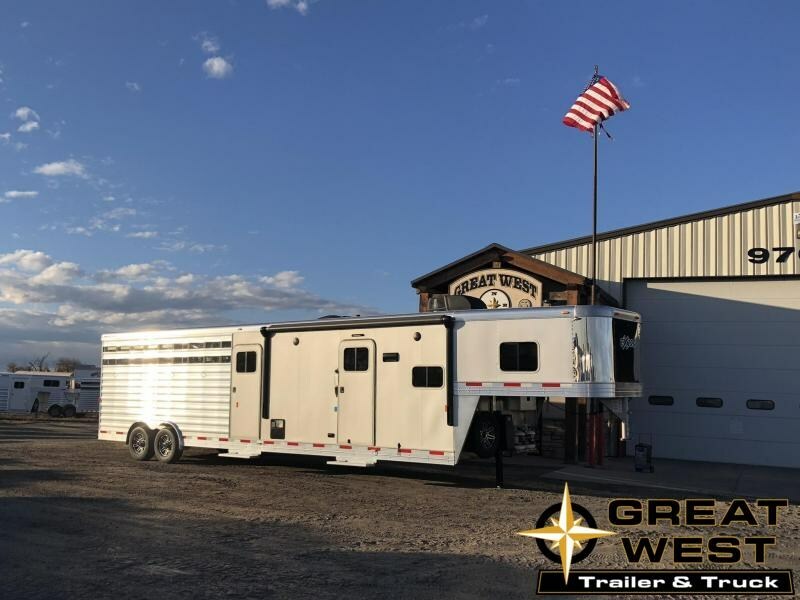 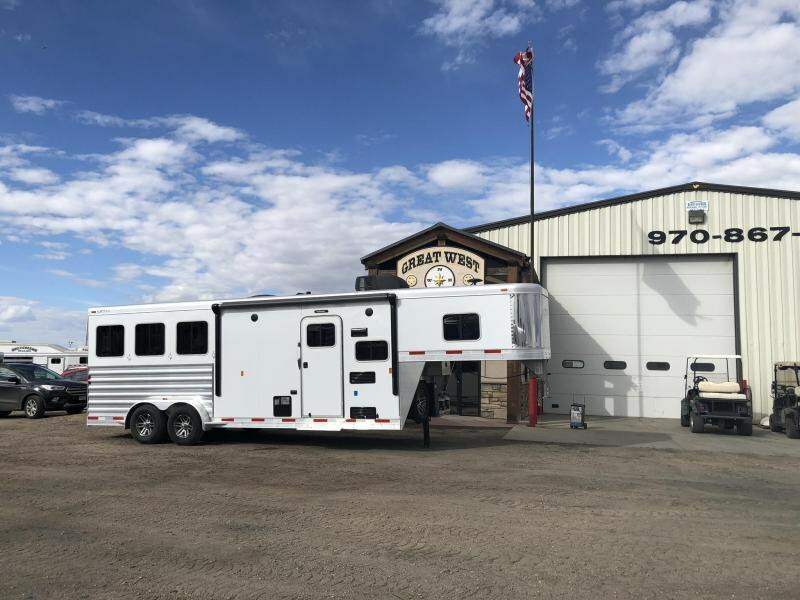 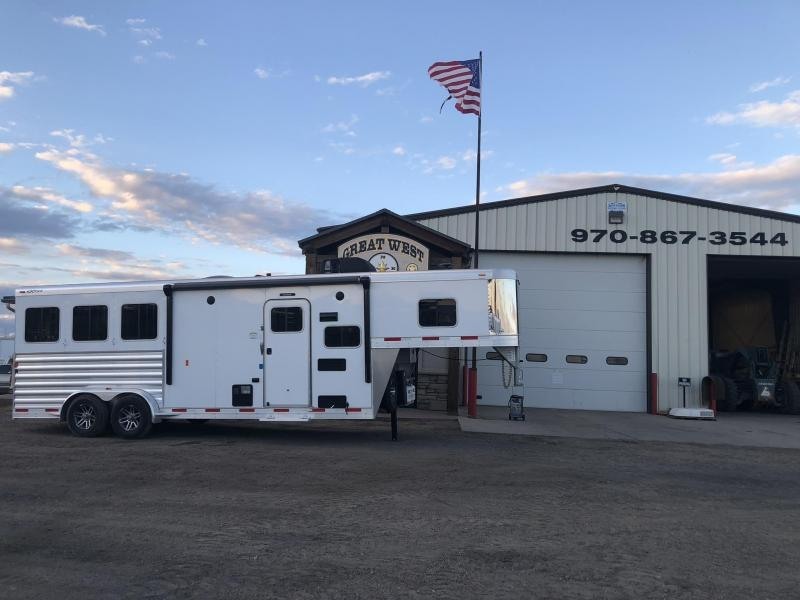 2019 Bloomer 16' Short Wall 4 horse Rear Side load with custom Outlaw interior.